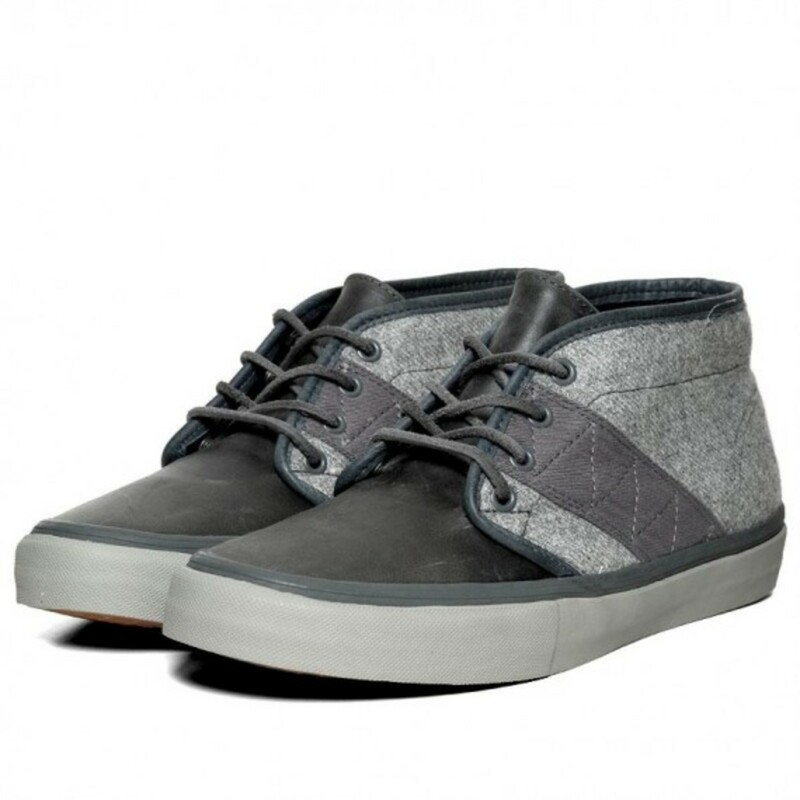 The latest product from the VANS Vault range transforms the classic Chukka model into a premium footwear. 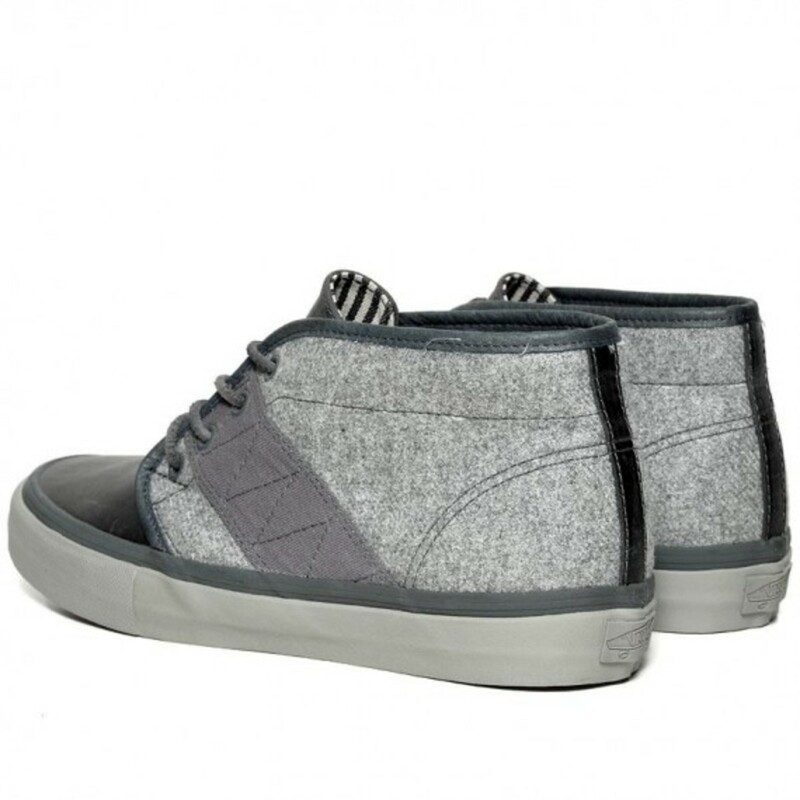 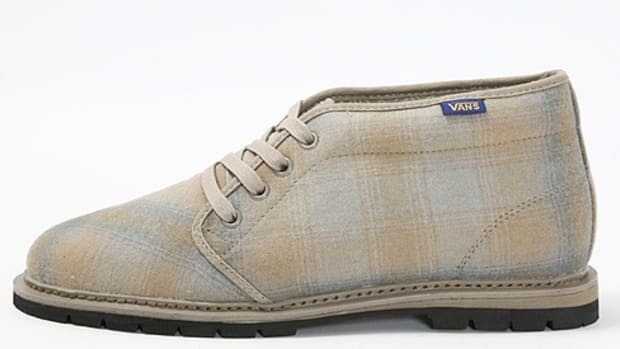 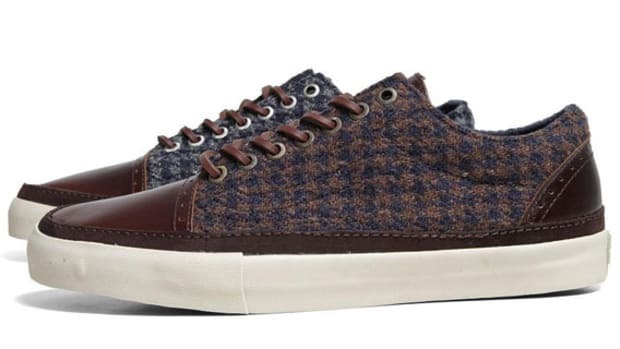 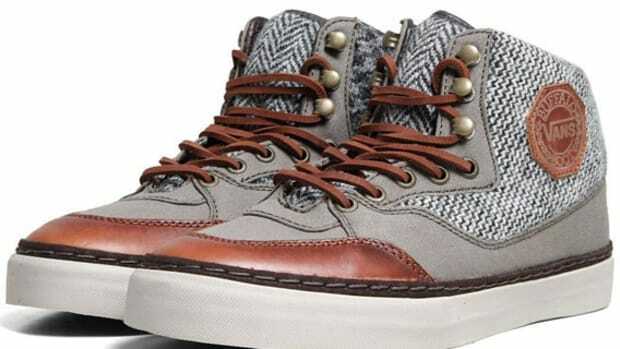 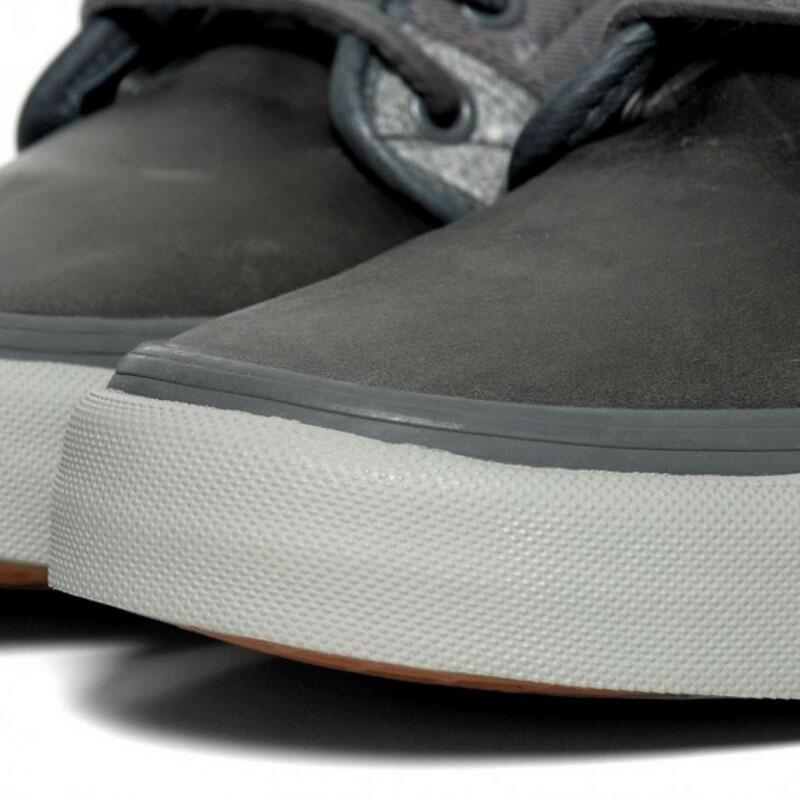 Grey monotone uppers are constructed from wool flannel, canvas and smooth leather materials in Castlerock colorway. 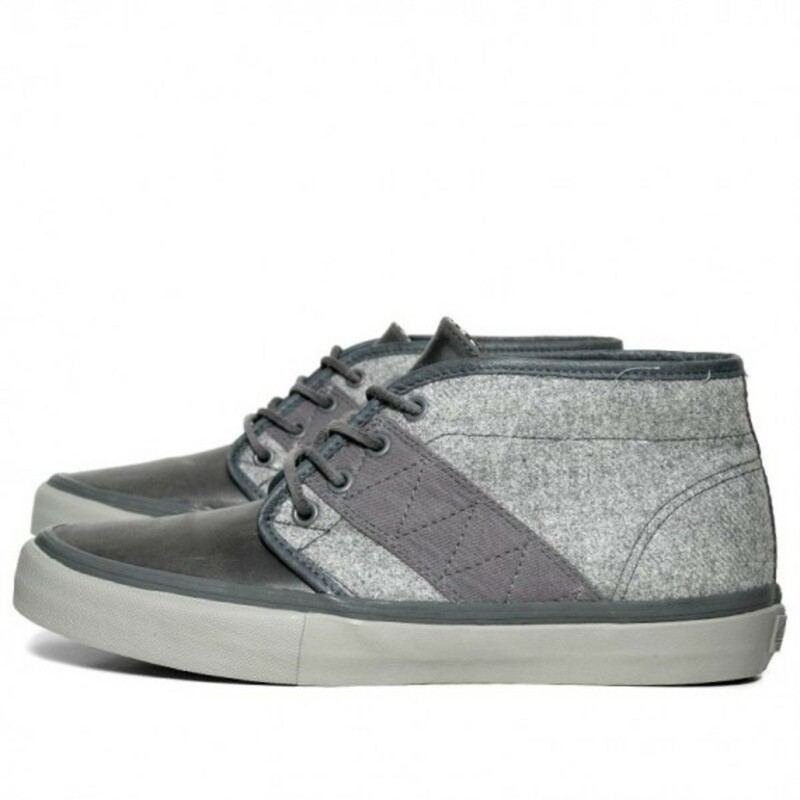 Without a doubt, the focal point of this sneaker is the thick canvas strip which accents the side profile of the otherwise basic design. 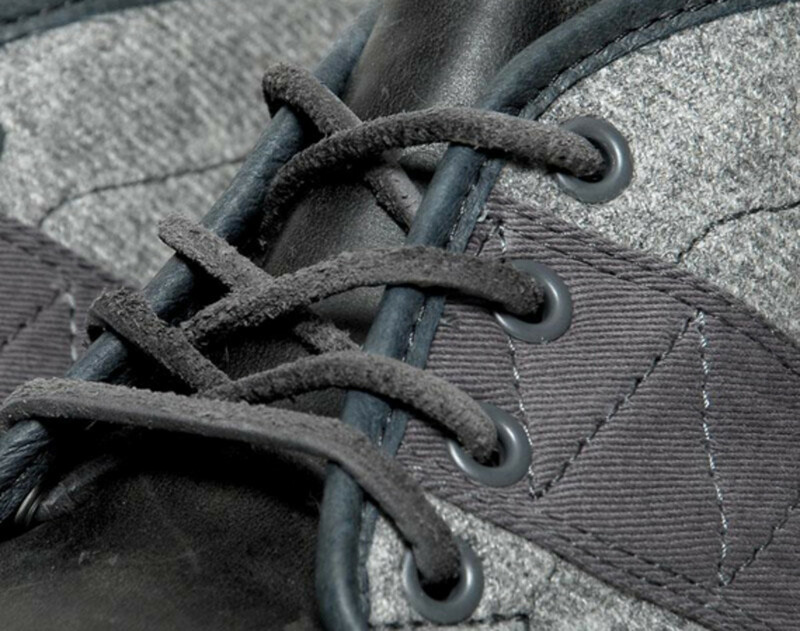 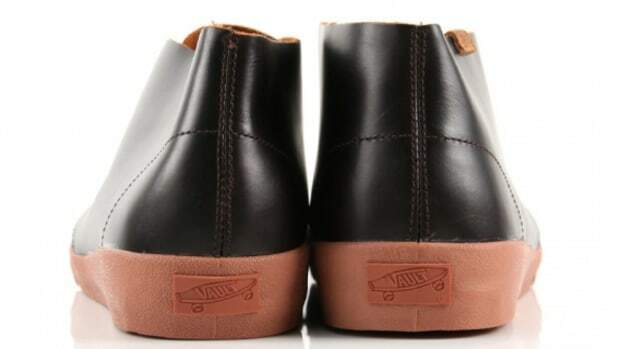 Another great detail is the square leather shoe laces, enhancing the overall look of the item. 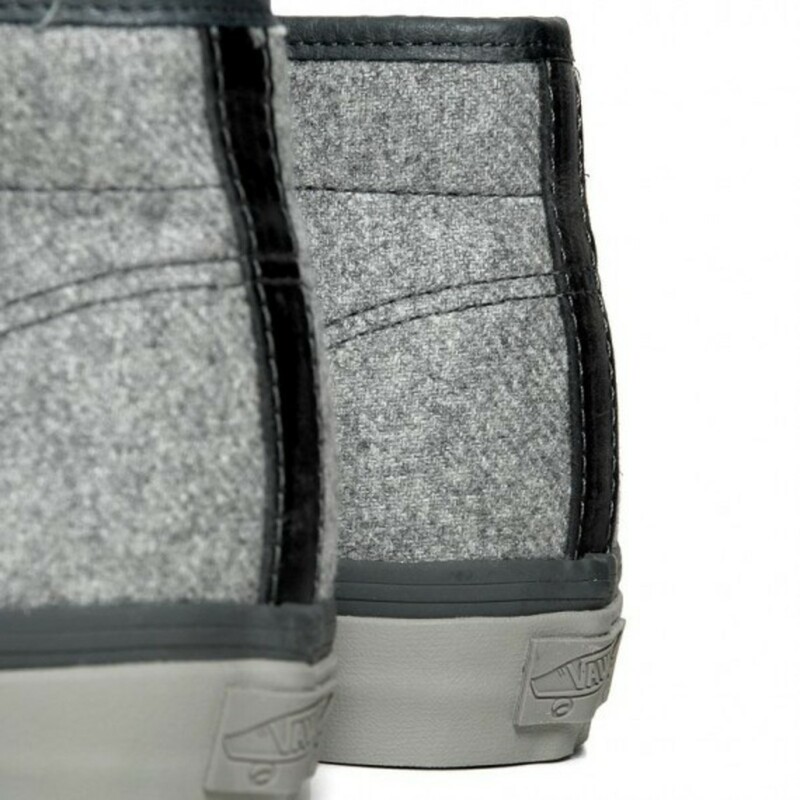 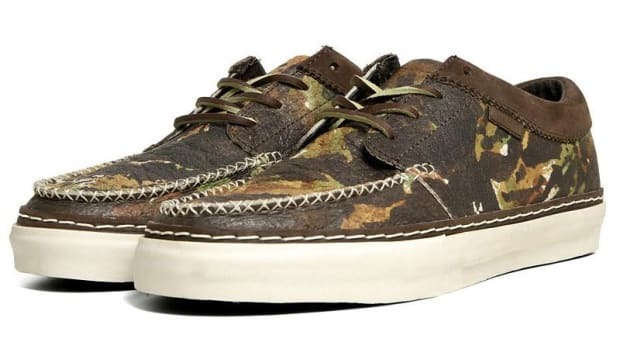 These are already in stock at end clothing in UK and select VANS Vault accounts would have received the delivery also.